Power Logistics has been providing a full project management and consultancy service to London’s New Year’s Eve celebrations since their inception. 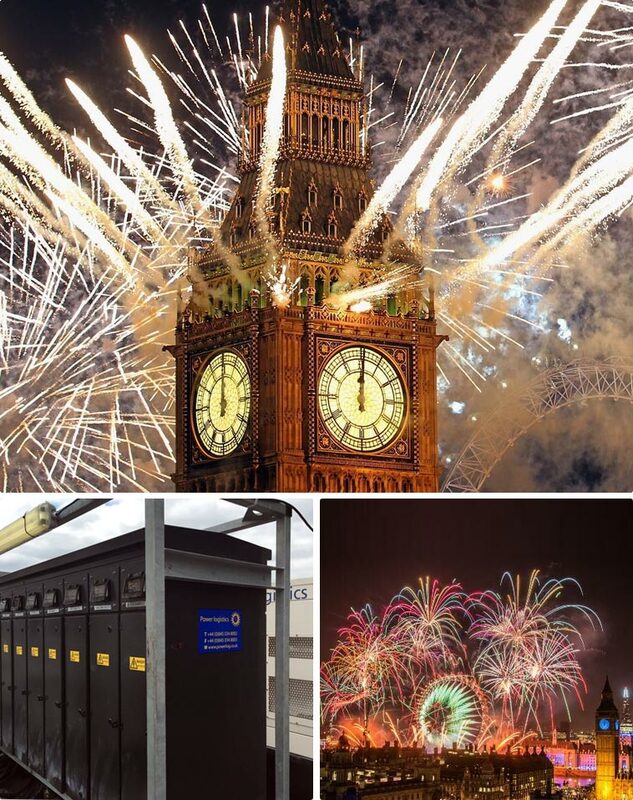 Marking the beginning of 2016 was no exception.Working with production specialists Jack Morton Worldwide, for the twelfth consecutive year, Power Logistics provided generators, cabling and distribution and towerlights for the fireworks display along the River Thames. Millions of people around the world watched the display on television as more than 12,000 fireworks were choreographed to a stunning soundtrack. A total of 108,000 packed into the viewing areas along the banks of the Thames to enjoy the 11 minute show. Responsible for all site power and powering the iconic projection on to the London Eye, Power Logistics supplied 20 generators, from 20 and 30 kVA Road Tow sets to 60, 250 and 300 kVA sets. In addition they provided 10 of their brand new energy efficient tower lights.